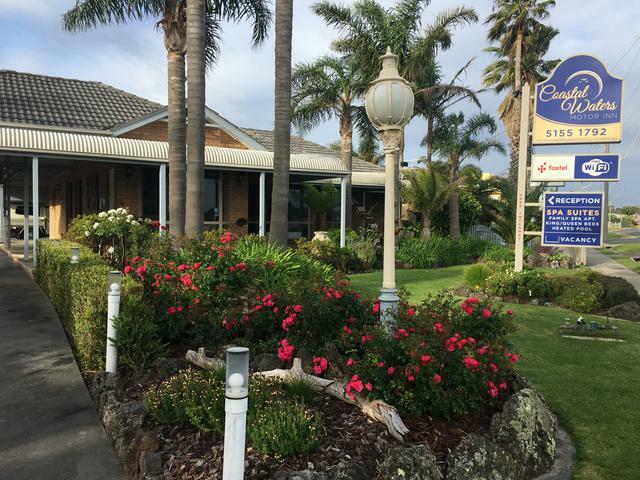 The motel is located opposite Cunningham Arm on The Esplanade at Lakes Entrance and is set in a beautiful tropical garden with magnificent palm trees. The large luxury, spacious suites have either a King or Queen bed. The motel is a short 5 minute walk to the town centre and an even shorter walk to the footbridge which takes you across to the beach. This area of the beach is patrolled during main holiday periods. We offer friendly personalised service with quality accommodation at affordable rates.